Family run. "If I wouldn't sell it to my mother, I won't sell it to you!" C.D. Johnson Furnace Service Inc. offers top quality heating, cooling, and air conditioning repair, maintenance, and installation services in the Portland, OR metropolitan area. Since 1985, our company has been dedicated to providing you with excellent service and complete customer satisfaction. Contact C.D. Johnson Furnace Service Inc. today at 503-620-3636 for all of your residential and light commercial heating and cooling needs. Serving Portland, Oregon Metropolitan area since 1985. Ask about heating and cooling energy credits. Offering HVAC emergency service. Call early for same day service. We are fully Licensed, Bonded, and Insured for your protection. Oregon CCB # 81133. Payments accepted via Cash, Check, or Credit Card. 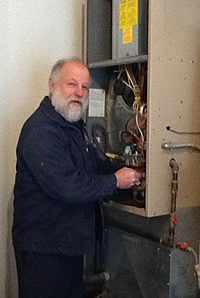 Heating and Air Conditioning Repair, Service & Installation. Covering Portland, Oregon Metro Area Cities and Counties: Tigard, Beaverton, Portland, West Linn, Oregon City, Wilsonville, Hillsboro, Washington County, Multnomah County, Clackamas County. Serving the Portland, Oregon Metropolitan area since 1985. Official Dealer for Bryant Heating & Cooling Systems. I won't sell it to you!" On Your Heating and Cooling Equipment! © Copyright 1985- C.D. Johnson Furnace Service, Inc. All Rights Reserved. Web design, hosting, and tools by Precision Computing Arts, Inc.